*All offers to well qualified customers with approved credit through Southeast Toyota Financial Services with $0 security deposit. 36 month lease examples based on New 2019 Toyota C-HR LE Auto #2402 MSRP $22,907 with 12000 miles per year. Includes all qualifying lease cash and incentives including owner loyalty if applicable. ALL lease offers plus $899 dealer fee, $795 bank acquisition fee, $498 electronic title, tax, tag, first payment. $119 lease requires additional down payment of $2,999. **$0 down payment lease option monthly payment $209 available with approved credit. See dealer for complete details. Promotional offers expire April 30, 2019. The sporty Toyota C-HR is back for 2019 with the same couple-like crossover design that turns heads. The C-HR finds the sweet spot between being a functional SUV, and still being a sporty, fun car to drive. The New 2019 Toyota C-HR is powered by a 2.0 Liter 4-Cylinder engine with 144 hp and 139 lb.-ft. of torque. 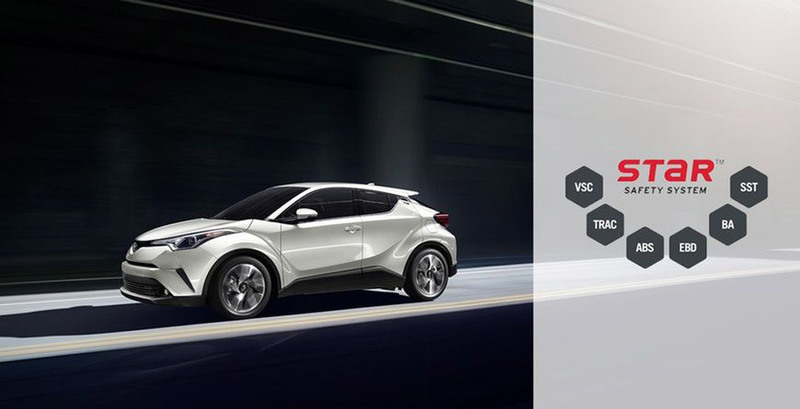 that is fuel efficient and allows the C-HR to still make an EPA estimated combined 29 MPG. The best part is that this engine comes standard on the C-HR, you don’t need to upgrade to get the 2.0 liter 4-cylinder. 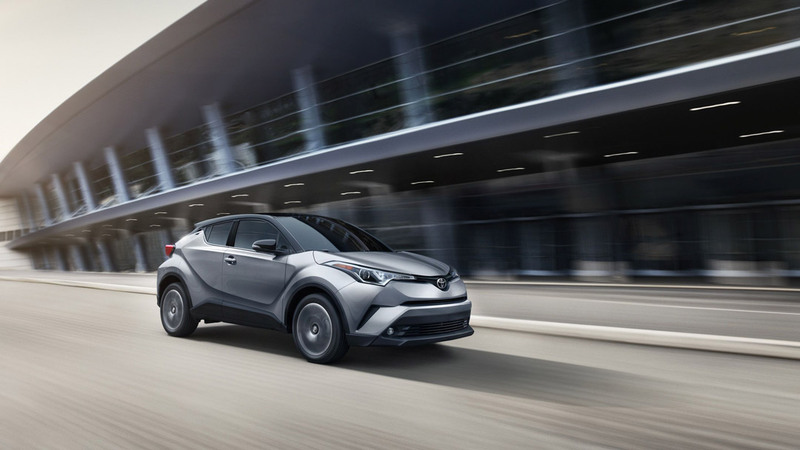 The 2019 Toyota C-HR comes standard with a lot of great modern technology. You get a standard 8-in. 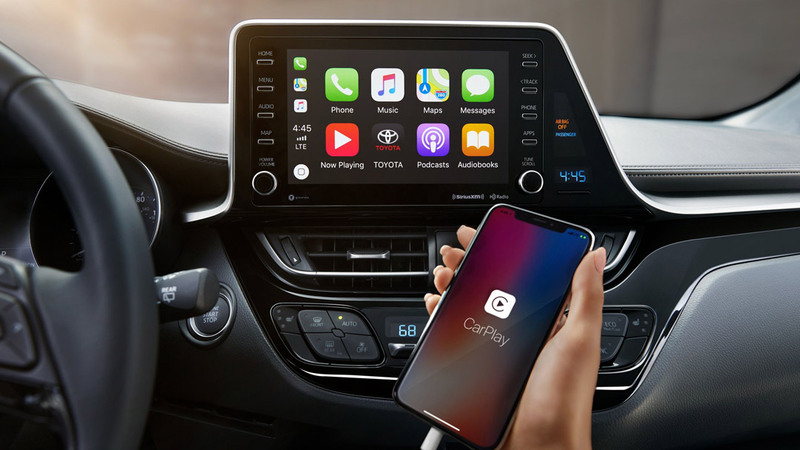 audio display with Apple CarPlay and the Entune 3.0 App Suite. You also have a 4.2-in. color Information display that shows a variety of car health information and even a G force meter. Also available is Smart Key System with Push Button Start and a Toyota C-HR puddle light. The biggest benefit of driving a crossover is benefiting from best of both worlds between a sedan and SUV. You get the benefit of sporty, easy to maneuver experience of sedan and the space and cargo capacity of an SUV. 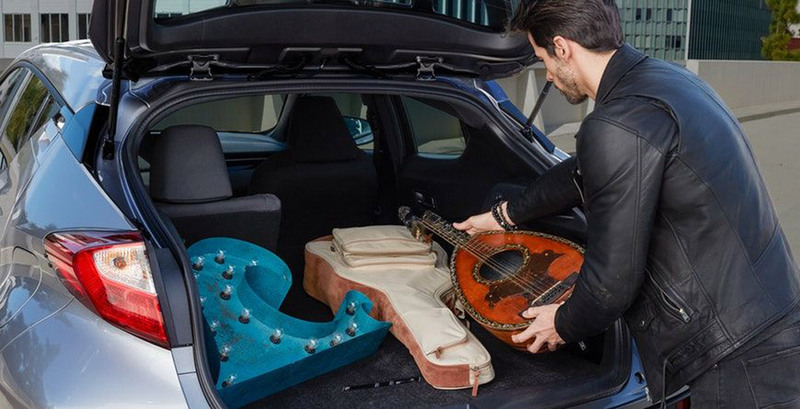 The C-HR comes standard with 60/40 split rear seats that take the capacity of the trunk space to another level, allowing you to fit even more of your stuff in your car. Interior quality and comfort is great on the C-HR. 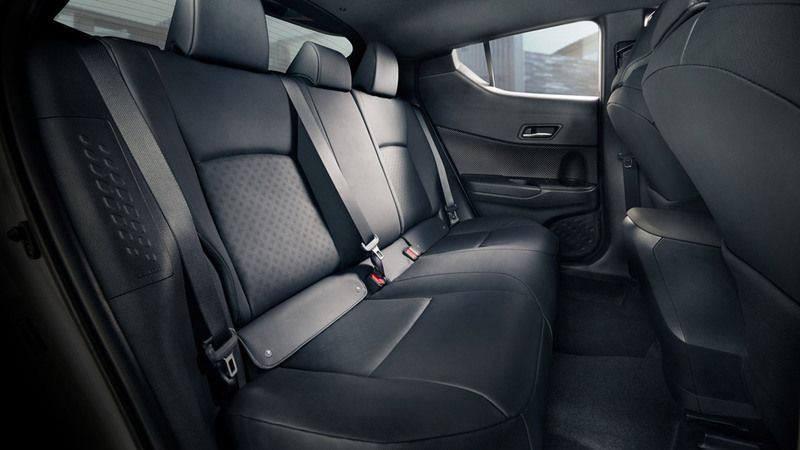 With available leather-trimmed seats, and soft-touch materials the inside of the C-HR is a great place to be. Plus available front heated seats and dual zone climate control you’ll also be comfortable inside, no matter the weather. Star Safety System which includes a number of safety features. If you choose to upgrade you also have access to Blind Spot Monitor and Rear Cross-Traffic Alert on the higher trim levels.